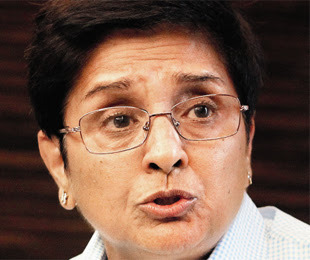 New Delhi, June 2012, Kiran Bedi is the one of the member of team Anna. She was compared our prime minister Mr. Manmohan Singh to the blind king Dhritarashtra of the Mahabharata epic and said that the prime minister is making corruption in the government as well as politics. The congress party hit back, saying that the Anna team had removing corruption in the India and converted the movement against corruption into "a personal campaign and personal ambition". The Kiran Bedi tweeted that, “The prime minister is same as Dhritarashtra. Because the Kauravas was attempted to disrobe Draupadi then also Dhriterastra had not supported them. As same our PM Manmohan Singh making more corruption over irregularities in the allocation of coal blocks. In short, the prime minister is not supporting to remove corruption in the India. From July 25, the Special Investigation Team (SIT) of Anna team with motive of Do or Die probe on prime minister and other 14 cabinet ministers. The team may never give an expeditious and strong criminal justice system. It is said by Kiran Bedi. As per Kiran Bedi’s point of view, the team Anna only focused on congress party for the purpose of the parliament give alone them for an effective anti-corruption law and not the opposition. Bedi’s comments come after the PM’s office turned down Team Anna's demand for a special team to probe charges against cabinet ministers for making irregularities in coal blocks allocation. The BJP said that, “the team Anna has saying things on its own way but the PM has failed to check corruption in the government”.